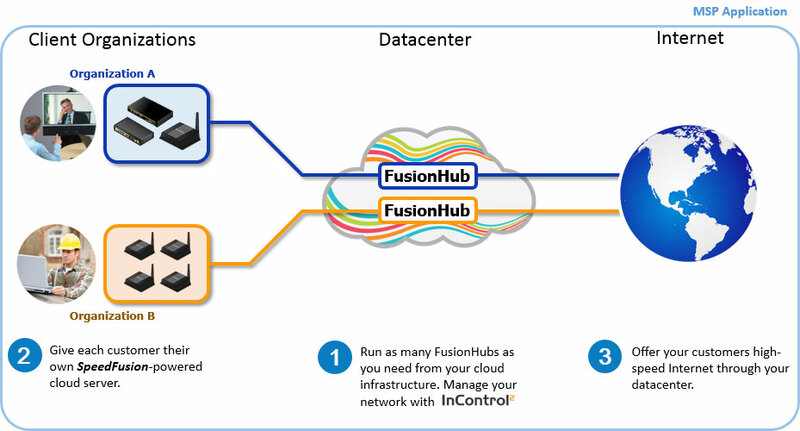 Peplink introduces FusionHub, the new virtual SpeedFusion appliance. 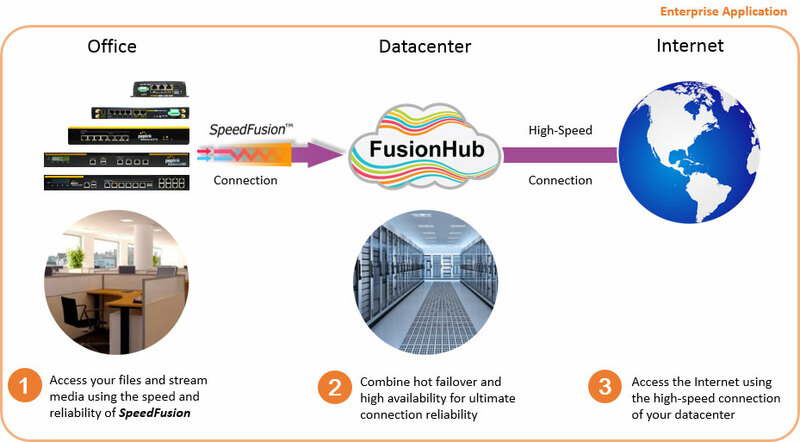 With the new FusionHub, SpeedFusion connections can be established between cloud servers and Peplink devices. In addition to the ability to organize your devices and FusionHubs, InControl 2 provides you with real-time client information. 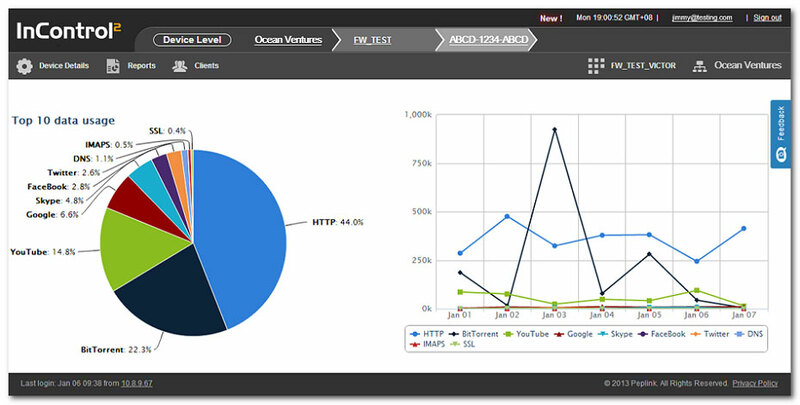 Gain insight into the domains your clients visit (e.g. www.facebook.com) as well as any of their applications that use data (e.g. BitTorrent, Skype). This information can be displayed as a table, pie chart, or client connection diagram. On the client connection diagrams, information is made manageable using intelligent filters.